Product #18685 | SKU LP36255 | 0.0 (no ratings yet) Thanks for your rating! 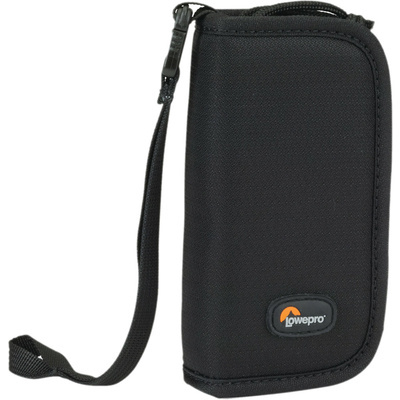 The Lowepro S&F Memory Wallet 20 is designed to hold up to 12 CF or SD cards in a slim, easy access, wallet-type case. It includes a strap with leash that may be attached to a key chain, belt loop or stashed in a pocket. The wallet is made from water-resistant 600 denier polyester, 1680 denier nylon, 420 denier nylon exterior with a 210 denier nylon and stretch mesh polyester interior. It must be noted that this product is not SlipLock compatible.